Click here for Produce Availability Chart. Click here to view photos of past Winter-Spring Shares. 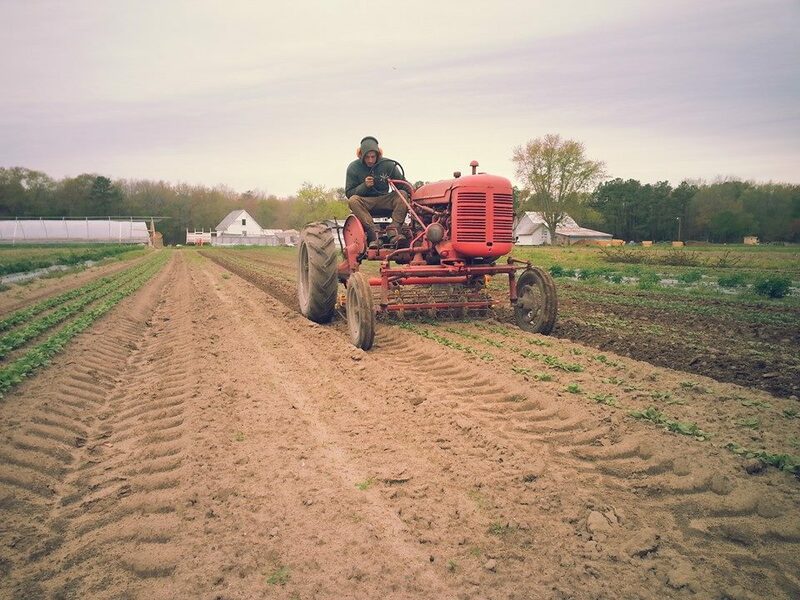 Discover the bounty of the Winter and Spring Seasons at Groundworks Farm! Shares include a variety of certified organic fresh-cut field and hoop house greens (spinach, kale, lettuce, arugula etc. 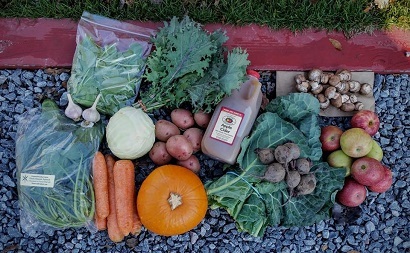 ), fresh apples, storage crops (carrots, potatoes, sweet potatoes, beets, turnips, parsnips, daikon radishes, rutabagas, celeriac, kohlrabi, cabbage etc. ), Brussels sprouts, winter squash, onions, garlic, leeks, and more. The month of May brings strawberries and asparagus. We partner with several other local Organic growers to bring you the best Shares possible. There is very little repetition of produce and each pickup is fresh and exciting! 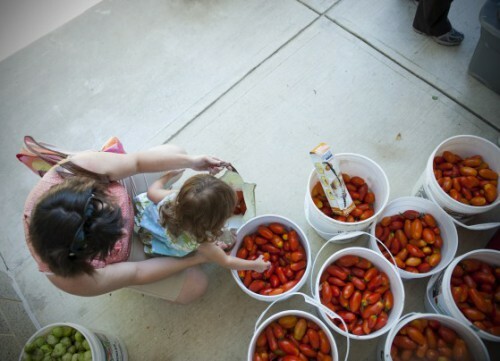 Each week members are greeted with bins of freshly-harvested produce to choose from. The Share is free-choice within limits and averages 12 items of produce at each distribution. The distributions are BIWEEKLY (unlike with the Summer-Fall Produce Share) and are designed to last about two weeks. We offer simple storage instructions in your Share Guide at each pickup. We provide an incredible diversity of items which change at each distribution. The Share feeds a household of 3-5 people or 1-2 avid veggie eaters. Don’t think you can eat it all? Many Members share with a friend, switching off weeks or dividing up the Share together each week. You can eat an extremely satisfying local diet year-round, and we’re out to prove it! 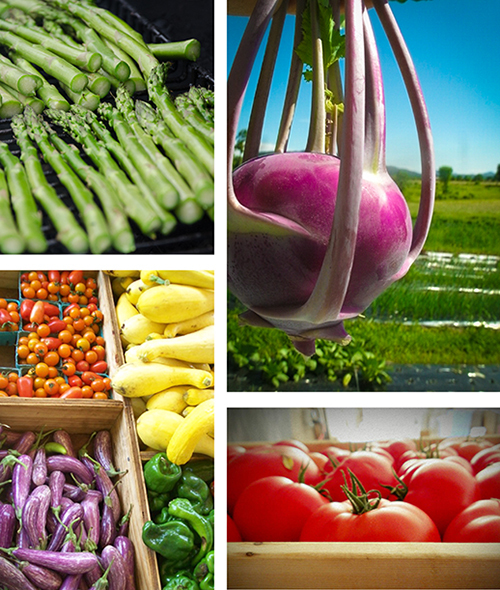 Our produce farm is USDA Certified Organic. Like us, most of our partners are local Certified Organic farms. We also work with some very small local farms who follow our growing practices but have chosen not to seek certification. And, a couple of our partners practice Integrated Pest Management (IPM). Working with our partners we are able to bring you the best quality and diversity of local fruits and vegetables each season has to offer. Our Winter-Spring season runs from the first week in December through mid-May, and pickup/delivery is BIWEEKLY. There are 11 total pickup days. We guarantee the quality of all the produce you take home. Want to “share a Share”? We can help you find someone to split it with! Just contact us and we’ll keep an eye out. Are you a student? Or, do you need financial assistance? Contact us for student rates and sponsorship options. Exact Shares will vary based on quality and availability at harvest time. 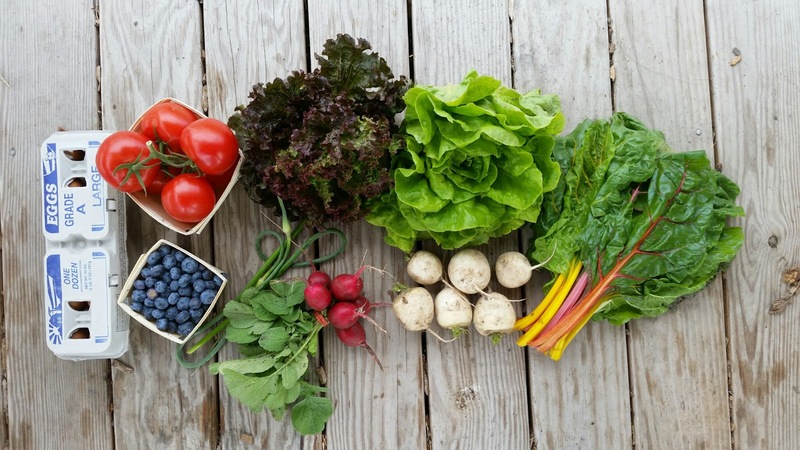 Items will vary from week to week to provide you with a large diversity of Produce. These are some examples of the diversity we offer at each time of year. Your Winter-Spring Share will include approximately 12 delicious items from the Winter and Spring lists on our Produce Availability Chart.